Luann De Groot is a famous young lady. She became a star on March 17, 1985 when she made her first appearance in the newspaper. Luann was an 8th grader back in 1985 and today, she is a student at Pitts High School. Now, how can that be?? Luann is a comic strip character made famous by Greg Evans and in the world of comics, age just doesn’t compute. The strip is set in the suburbs and is about Luann dealing with school, her family, friends and love interests. Greg has included four “real-life” characters in his strip. Jay Leno, Hugh Hefner, Barack Obama, and Clay Aiken have all impacted the “life” of Luann. In October, 2003, Evans was in Los Angeles for business. He attended the release party for Clay Aiken‘s debut album, Measure of a Man at the Burbank Hilton on October 13th. Along with Billboard reporter Fred Bronson, he was introduced to Clay Aiken fans and was amazed at their excitement and support. 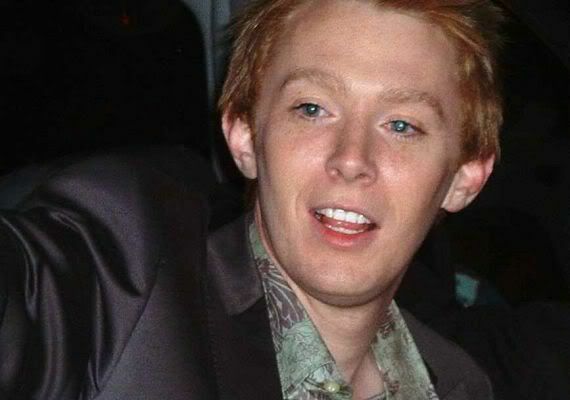 It was this encounter that inspired Evans to come up with a storyline that included Clay Aiken. Let’s go back a few years and enjoy a visit to Luann as she meets Clay Aiken. We will continue the Clay Aiken/Luann storyline for the next few days. The story can’t help but put a smile on your face. Awe, fond memories! I still follow Luann for Clay mentions. They do pop up now & then! You certainly do your homework! Wow.. I’d completely forgot about these! We fell in love with anyone that mentioned Clay!!!!!! great times!!!!!!! Do you guys hear that RCA may have dropped Clay? Old information. Fans have noticed that for quite a while now. We’re just waiting for some kind of official confirmation before reporting it as actual news here. I am much more inclined to believe that Clay has fulfilled his contract and is opting to not renew. Especially since the label has not done their part in properly marketing and promoting Clay like they could have. I forgot about this! Thanks for posting it! I look forward to seeing the rest of them! I have missed Clay in the Luann comic strip. She must be missing him also. Pu-lease send Clay to visit Luann, just to check on the doggie again! I mean send him this year!!!! We need to see/hear from Clay! PS: If they have dropped him he should be glad. The seem to have forgotten they were supposed to be working for him anyway. Those Luann strips were so cute . I had forgotten about them . Thanks for bringing them back . No more RCA for Clay ? I hope it is true . I’ll wait for something official but he will be fine whatever the case . Thanks for posting these Luann strips. I love them and I look forward to more. Thanks for everything CANN. This is a great site! Thanks, CANN. I had forgotten about the Luann strips. Sure brought a smile to my face. Great memories and they certainly bought a smile to my face too! Error: Error validating access token: Session has expired on Tuesday, 21-Aug-18 16:13:01 PDT. The current time is Tuesday, 23-Apr-19 00:06:59 PDT.